My cat of many colours! 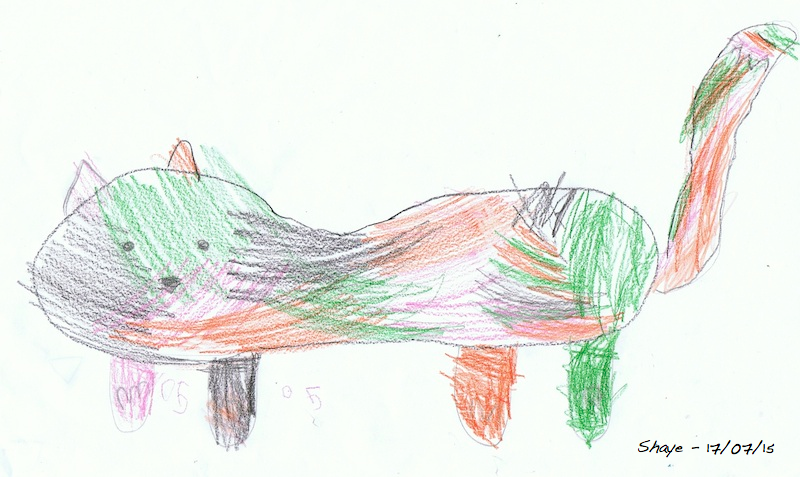 This entry was posted in Kids Stuff, Uncategorized and tagged artistic, cat, colorful cat, creative, cute cat, cute drawing, funny drawings by a 4-year old, funny-drawings, kids, kids drawings. Bookmark the permalink.